A new logo design and corporate identity for Bennum van Jaarsveld, presenter, model and master of ceremonies. 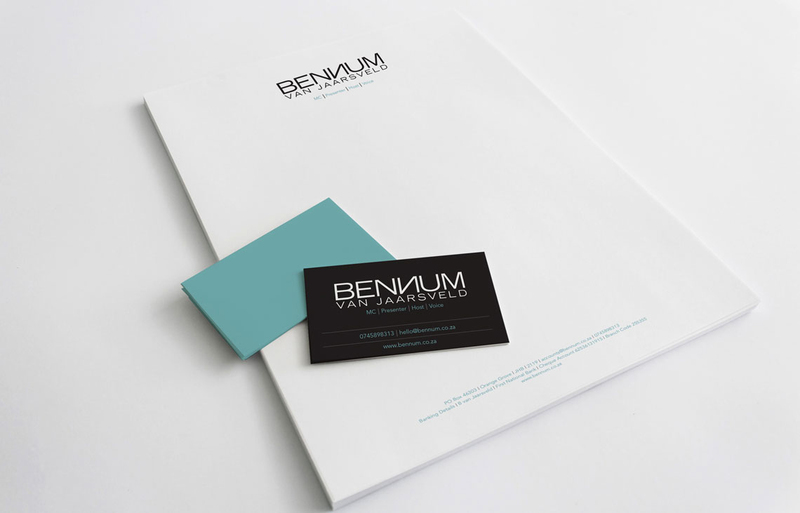 We developed a new logo and corporate identity for Bennum. We wanted to keep it simple with a play on the double N and a vibrant accent colour.